Showcasing a strong diversity of liturgical music, this collection features some of the most popular songs from Michael Joncas' first four collections. 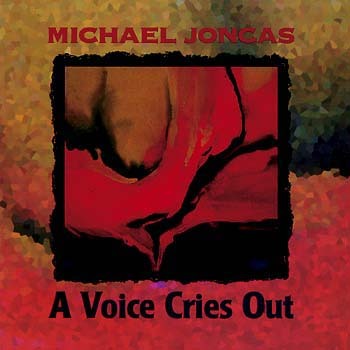 Showcasing the strong diversity of Michael's liturgical music, A Voice Cries Out features some of the most popular songs from his first four collections: On Eagle's Wings, Here in Our Midst, O Joyful Light and Every Stone Shall Cry. These selections convey the beauty of scriptural texts, sensitivity to liturgy and a strong reflection of the important role of the assembly in our celebrations. Most of these songs have been re-recorded or re-mastered and are available on CD for the first time. The 16 songs include "With the Lord," "A Voice Cries Out," and "On Eagle's Wings," which consistently tops surveys in both England and the U.S. as the most popular song for worship ever written. These selections convey the beauty of scriptural texts, sensitivity to liturgy and a strong reflection of the important role of the assembly in our celebrations. Most of these songs have been re-recorded or remastered and are available on CD for the first time. The 16 songs include "With the Lord," "A Voice Cries Out" and "On Eagle's Wings," which consistently tops surveys in both England and the U.S. as the most popular song for worship ever written.